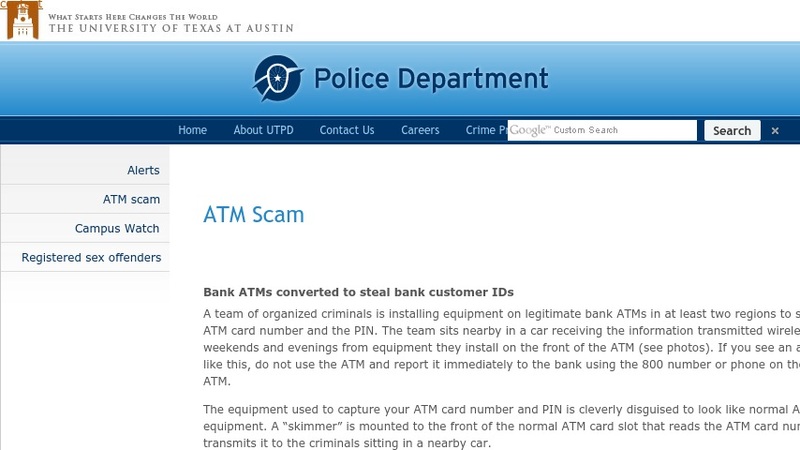 The University of Texas at Austin Police Department has posted this website with information about a new approach to ATM theft. The website alerts the public to a technology that criminals have been able to install on legitimate bank ATMs that lets them receive information on customers' ATM number and PIN through wireless transmission. Photos of the technology are posted so customers can be on the lookout for the attachment and hidden camera.